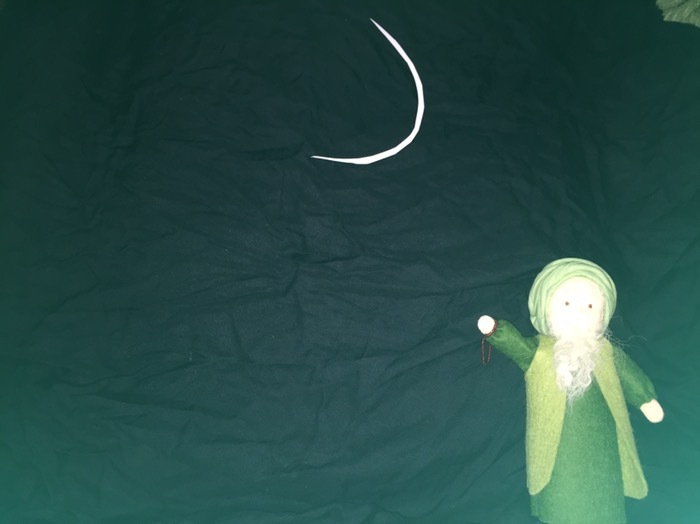 Today our little dervish has seen the new moon of Shawal. This means that the next day will be Eid and Ramadan is over. This concludes our Dervish Doll series for Ramadan and we hope to bring you more examples for creative play for Ashoora. We are also developing some ideas for lady dolls as well inshallah. This Dervish Doll was comissioned by Sirajunmunra from WaldorfMagicGlade on Etsy. Please share your ideas for using creative play to learn about the rites of Ramadan.